London’s exuberant dining trailblazers Gingerline are back and they have cooked-up their most sensational journey to date, The Grand Expedition. Taking place at a top-secret location on the Victoria line, revellers will receive a text message with directions to the address on the day of their adventure (or the day before for matinee guests). Part dance spectacle, part multimedia simulation, part supper club, it’s billed as a “floating, feeding, falling dream”, featuring five interactive courses paired with eccentric performance and storytelling. 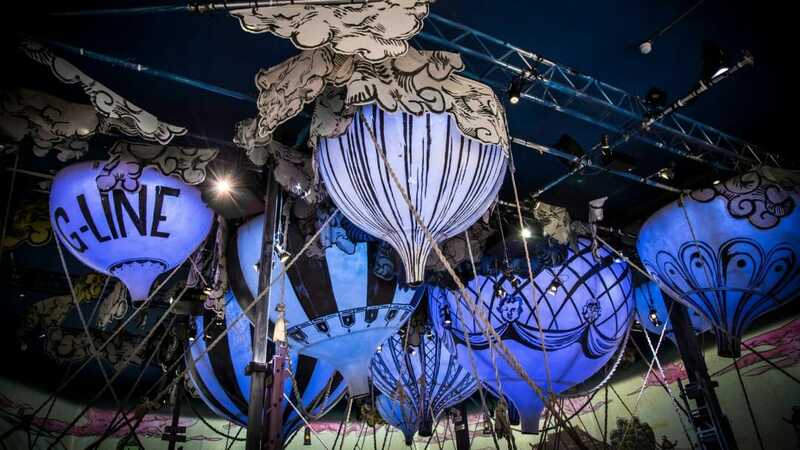 Once guests have stepped into the theatrical set, fashioned into a fantastical landscape among the clouds, they are sworn to secrecy and urged not to post photos online as they are taken on incredible, edible journey. A fusion of live animation, dance display, flavoursome delights and exquisite set design. The Grand Expedition is an unforgettable, once in a lifetime dining experience to share with your most adventurous friends as you explore the future of dining. Tickets for The Grand Expedition are on sale here, with further batches to be released for dates April through June.